We call our standard plans our Signature Series Plans. 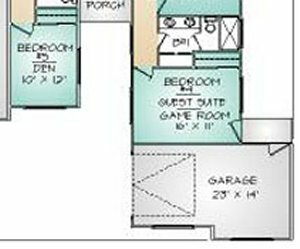 These plans are all computer designed, which gives us the flexibility to easily make changes to meet your needs, personal taste, and style. From changing or adding a window, reversing the plan, modifying rooms, to moving walls and much more, our standard plans can be customized to become you dream home. If adapting a standard plan will not meet your needs, our Drafting Service will work with your ideas to develop a truly custom plan. Or, if you already have complete plan sets, and they meet our production guidelines, we will package directly form your plans. For example, our popular Silverton Plan even has suggested alternate room uses listed on the brochure floor plan. PMHI warrants that all Signature Series Plans, and PMHI engineered custom plans, will be accepted by any building jurisdiction that has adopted the California Building Code, subject to your proposed building project meeting all other local requirements too. Each plan will be sealed by an engineer registered in the state you will be building in. But, since codes and requirements can change, and may very from jurisdiction to jurisdiction, PMHI can not warrant compliance with any specific code or regulation outside of California. It is the responsibility of the plan buyer to confirm that PMHI plans meet local requirements outside of California. It is also the plan buyer's responsibility to make any necessary changes to the plans and/or package specifications and to notify PMHI of such needed changes prior to ordering of the package.